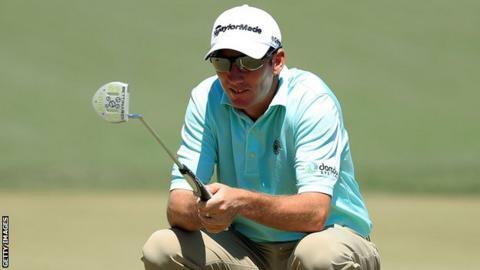 American Jim Herman secured his first PGA Tour victory in 106 attempts with a one-shot win at the Houston Open. The 38-year-old held his nerve for a final round of 68 and a 15-under total - one ahead of Sweden's Henrik Stenson. Stenson missed a birdie putt at the 18th that would have seen him move to 15 under. But a good tee shot on the 18th set Herman up nicely and he two-putted safely for the win and a place at this week's Masters at Augusta. Herman, the world number 191, used to work in the pro shop at one of US presidential candidate Donald Trump's golf courses. It was Trump who encouraged him to come out of retirement and give the PGA Tour one more try. Jordan Spieth, who begins the defence of his Masters title on Thursday, double-bogeyed the final hole to shoot 70 and finish seven strokes off the pace.